The proposed Santolina development covers a boundary from Interstate 40 south to Pajarito Mesa and the Rio Puerco Escarpment east to 118th Street on the city's Westside. Level A was approved in June 2015. Since then, commissioners and planners have been going over parts of the next step to make sure it's compliant with the city and county planning criteria.The Level B plan, part one will focus on a 4,243-acre portion out of the nearly 14,000-acre development. This will focus on things like parks, open space, water, schools and public safety. The biggest concern by opponents from the beginning has been water. 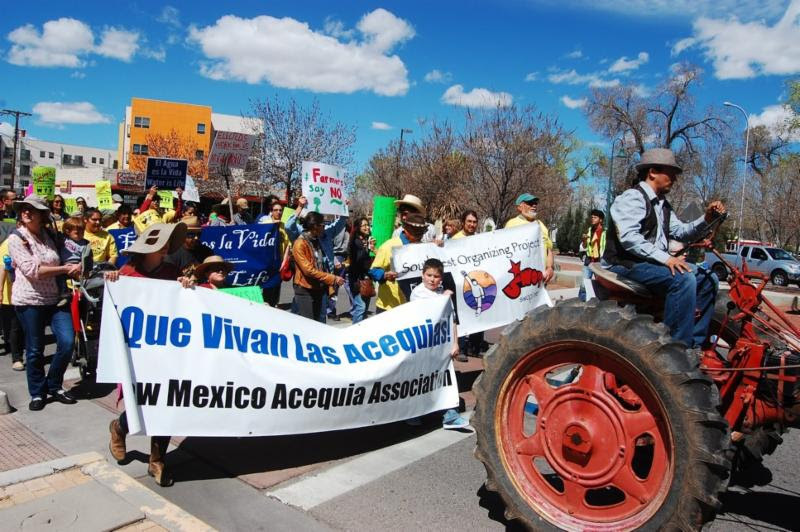 An appeal by the New Mexico Environmental Law Center has been filed an appeal on behalf of opposing organizations. According to the county, these groups argue that the Level B plan cannot be considered because the appeal is still outstanding on the Level A plan.The plan calls for the entire development to be built out over the next fifty years. Developers estimate that Santolina will have a population of around 100,000 and create 75,000 jobs. A hearing on Tuesday, March 14th 2017 was held to hear the appeal, Level B.1 Master Plan and actionable items on the agenda (Motion to Approve the Santolina Level B.1 Master Plan, Motion to Approve an Administrative Resolution adopting the Santolina Level B.1 Master Plan and the Approval of the Santolina Level B.1 Master Plan) saw NO action. The commission chair allowed the city departments to present their reports on the Santolina Level B.1 (the ABCWUA did not present) and a handful of community members who had signed up for public comment had their 2 minutes to speak at the very end of the meeting. Since there are many levels of legalities involved in the Santolina issue, the hearing felt like an empty part of the process (my opinion- just offering, not suggesting this is actually what occurred)- no action was taken during the 3/14/17 hearing. The next Zoning Meeting is Tuesday, April 4, 2017, 4pm. There were representatives (in opposition to Santolina) from SWOP, New Mexico Health Equity Working Group, CESOSS, NMAA, NM Environmental Law Center and community members. Make the Most of your Spring Annual Membership Meetings!